Under State Law, assets that were used in certain types of crimes may be forfeited or seized by Law Enforcement. CAFE is a web-based Forfeiture Case Management system. It can be used by both County Attorney staff and Law Enforcement Agencies to manage Forfeiture Cases. Law Enforcement agencies start a case by going into CAFE, entering in the claimant information, the asset information, and other basic case information. Then, they submit it to the County Attorneys office. County Attorney staff are notified via email that a new case has been submitted. They can review it, and either decide to accept it, or decline it. Law Enforcement staff can always login to CAFE to see updates on their forfeiture cases, and to communicate online with the County Attorney staff about them. 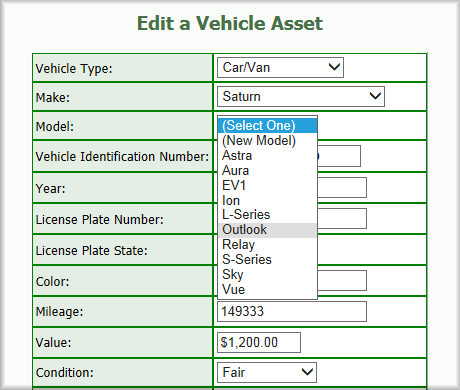 What types of assets are tracked? Vehicles: Any make and models of cars, vans, boats, motorcycles and ATV. Tracks value, condition, mileage and damage. Firearms: The system tracks description, serial number, and value. Other: The system can also track any other type of asset too. Between each claimant and asset, the system will also track Property Receipt Issue Date, Notice of Seizure Date, the date it was contested to Law Enforcement, and the date it was contested to the County. As the County Attorney enters case notes into CAFE, they can choose to mark them as private. By doing so, that note is viewable only by County Attorney staff, not by Law Enforcement Agency staff. What about Documents and File Attachments? Users can upload and store any documents, files or attachments to a case, so that they can be stored and viewed by all staff that are working on that case. The CAFE system can produce any type of document that you need, in MS Word format, such as the Complaint, the Disposition, etc. CAFE is very reasonably priced. Accounts are billed monthly, and you may add/remove accounts at any time. Use our Request Info page to request a CAFE Demo for your County.